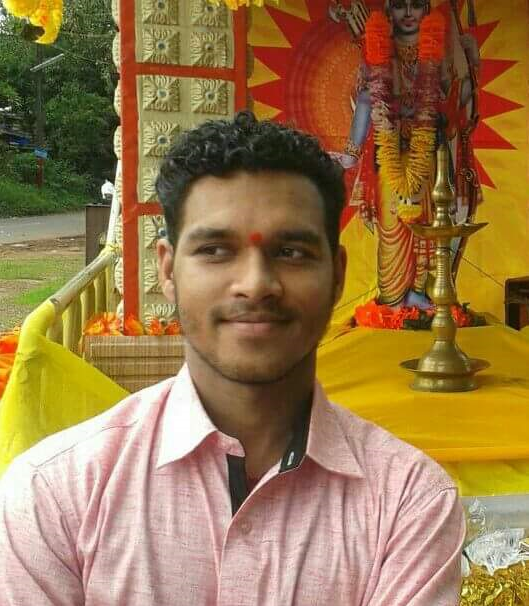 In yet another brutal murder of a Hindu activist in Kerala, 27 year old PV Sujith, was hacked to death by CPI-M (Communist Party of India – Marxist) workers in front of his parents in Papinisseri, Kannur district Kerala. According to a report on Haindavakeralam, Sujith, an RSS and BJP activist, was at his home when around 10 men barged into his house around midnight. They thrashed Sujith, his parents and his brother. Sujith was attacked by one of the attackers with a sword injuring him seriously. Even though Sujith was rushed to AKG Hospital, his life could not be saved. His parents and brother have been badly wounded in the attack. According to this report, the police have arrested eight CPM activists in connection with the murder. • April, 1996 – BJP Kannur district general secretary Panniyanoor Chandran was killed while he was riding a motorbike along with his wife; the CPM killers did not betray any mercy in killing the BJP leader brutally in front of his wife. • Dec, 1999 – BJP youth wing state vice president KT Jayakrishnan was hacked to death in a East Mokeri (Kannur) Upper Primary School classroom where he was teaching children. Before departing, the assailants left a threat on the blackboard warning the terrified children not to give evidence against them. 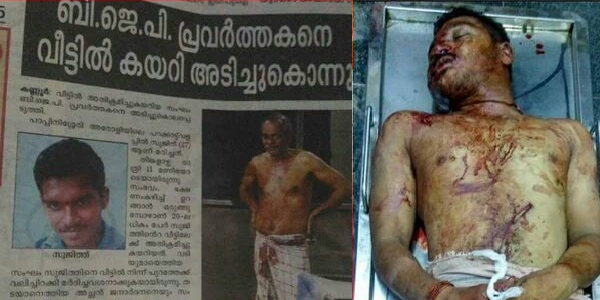 • Sep 2014 – Elamthottathil Manoj (42) of the RSS was hacked to death and his friend Pramod injured when the duo was attacked by CPM goons after hurling bombs on the car they were travelling. BJP has called for a hartal in Kannur, Pappinessery and Azhikode areas to protest against the killing. But for our national media, this brutal killing in far-away Kerala is much less important than hyping up the legal proceedings (which by the way, are exactly as per provisions in our Constitution) against JNU students as an attack on ‘Freedom Of Expression’.